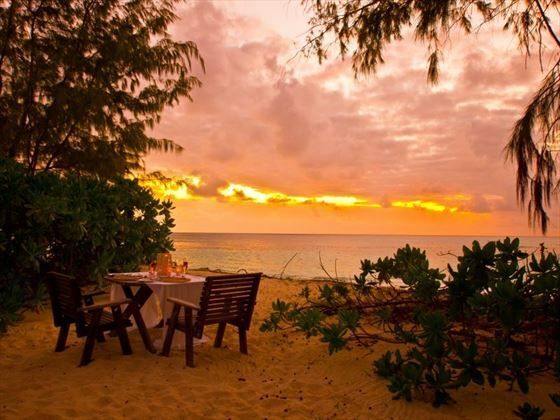 Denis Island offers barefoot luxury amongst the dreamy landscapes of the Seychelles. This private island resort is a romantic escape perfectly suited to honeymooners and couples, offering an easy island lifestyle mixed with luxurious amenities. 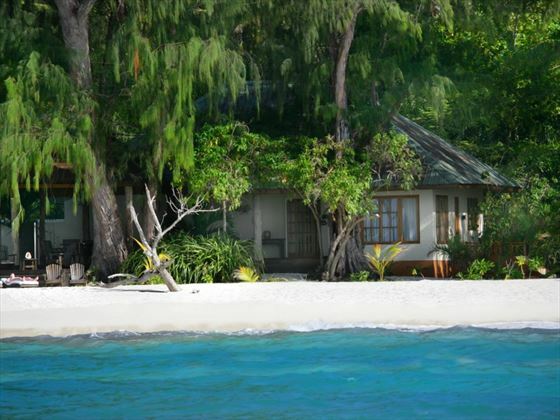 Dotted along the beach are the cottages – these charming and well-appointed accommodations are ideal for a relaxed holiday in the Seychelles. 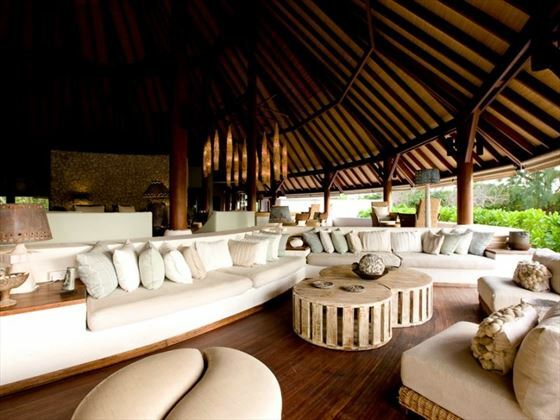 Each has a private sea-facing veranda, comfortable beds, plenty of space, and tranquil seclusion. There are no TV's or WiFi in the cottages - only in the hotel's library - so you'll be able to get away from the daily grind and simply enjoy the stunning landscapes around you. 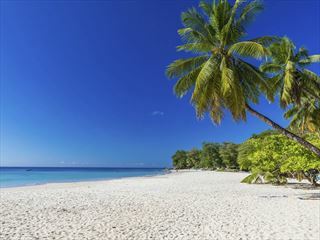 Blessed with icing sugar sand that makes the Seychelles famous, this coral island is also a fantastic spot for diving and other watersports; there’s a PADI dive centre on site offering a range of courses and excursions. 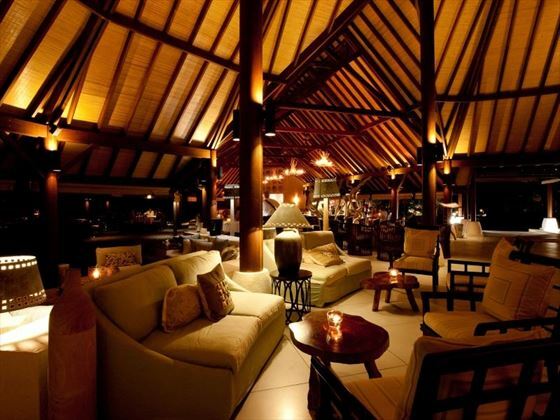 You can also enjoy fascinating nature walks, in-room massages and tasty food served at the resort’s restaurant. Bikes are left outside your cottage so you can explore the island's natural beauty yourself - the hotel offers a few routes to take, each meandering through the exotic flora and whizzing past white sand beaches. With weekly fogging every Wednesday, there are no mosquitos in sight, and the island has also been pest free since 2004. With their own farm nestled on the island, the food here at Denis Island is fresh and local - they even make their own ice cream. Conservation is a big part of this gorgeous paradise, home to an abundance of endemic birds, and to Toby - a 118 year old giant tortoise. We fully recommend taking part in the hotel's fascinating nature tour, where your guide will drive you around the island on a buggy and teach you all about their conservation and farming efforts. 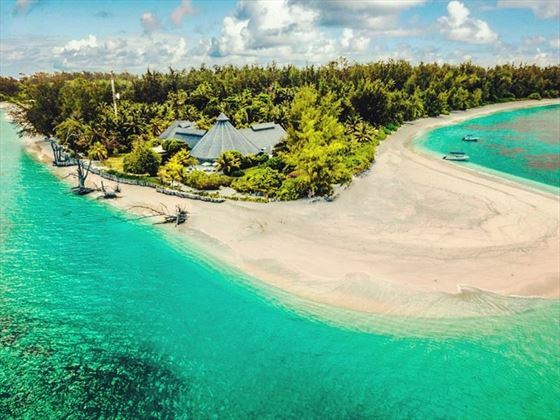 NOTE: Denis Private Island Lodge will be closed for renovations from 12 June to 27 July 2019. 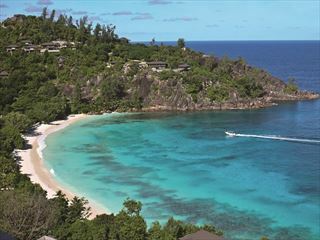 A private coral island in the Seychelles, Denis is a true paradise of white sand beach, scintillating ocean views and lush forest. 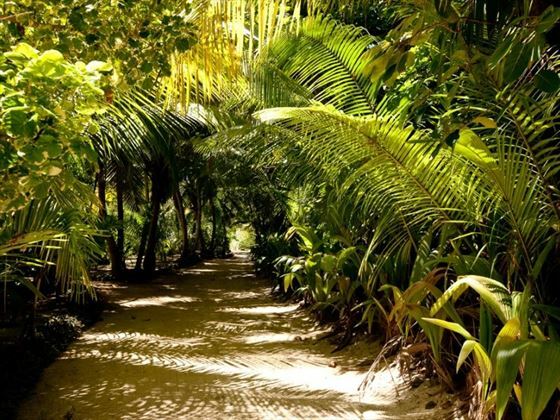 After a quick half an hour flight in a small plane from Mahé, you will be greeted by management and taken through the tropical forest to the lounge and restaurant on a buggy. 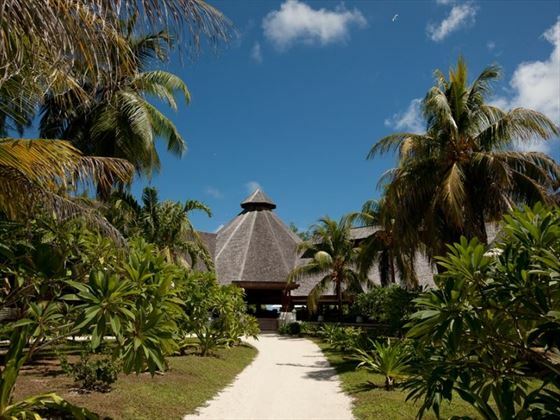 This entrance to Denis Island's private oasis is beautiful and grand, only adding to the hotel's luxurious ambience. It only takes an hour and a half to cycle around the whole island, so your stay will certainly feel intimate and special. 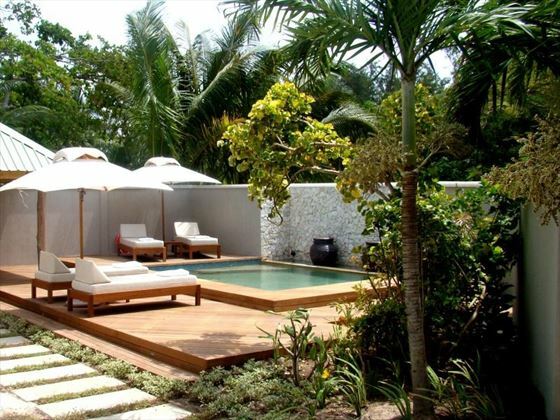 Beach Cottage – spacious and stylish, these cottages feature a small terrace and garden area. Sleeps a maximum of two adults. Deluxe Beach Cottage – these larger cottages offer additional space for a more comfortable stay, as well as a large private garden leading on to a beach, and a big terrace featuring a double daybed. Sleeps a maximum of two adults and one child. 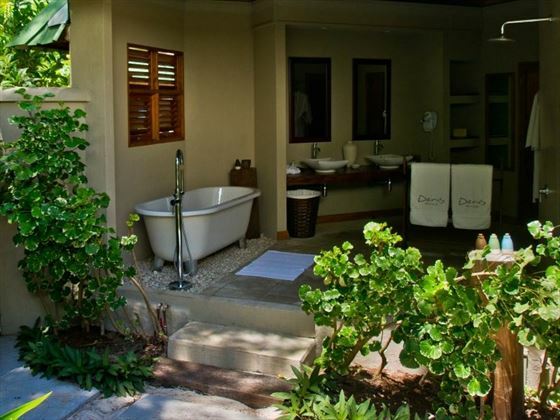 Beach Front Cottage Spa – enjoying a prime position directly on the beachfront, these cottages have the same amenities as before, and also feature their own massage areas close by to the outdoor bathroom. Sleeps a maximum of two adults and one child. 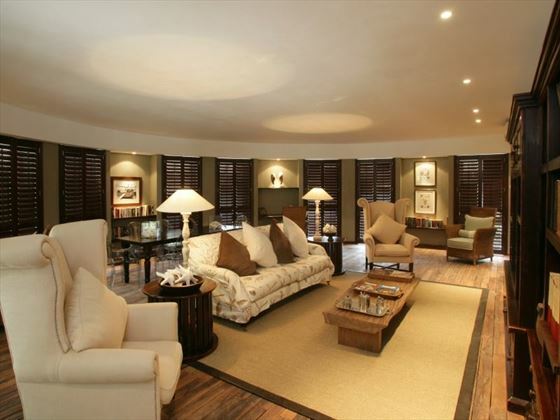 Family Cottage – the Family Cottage at number 16 offers a larger space that’s ideal for a family, including a spacious living area and beautiful master bedroom. Sleeps a maximum of two adults and three children. Please note that log and sandbags line the beach here to stop flooding. 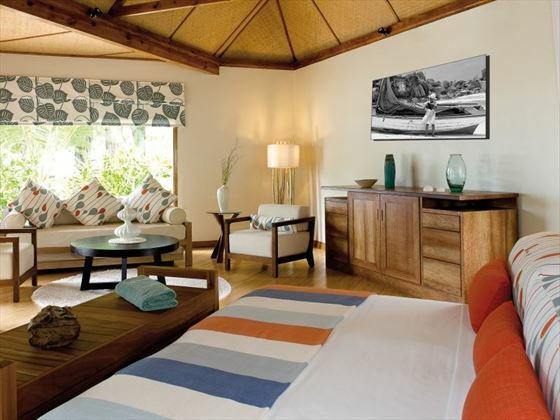 Beach Villa – the Beach Villa is the largest and most luxurious accommodation on the island with a private plunge pool, an extensive outdoor area and upgraded amenities, sleeping a maximum of two adults and two children. 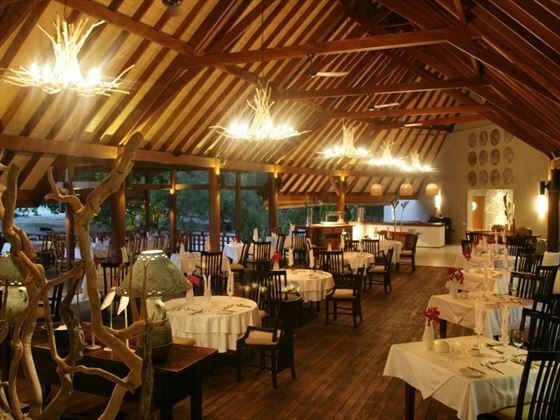 There is only one restaurant and beach, nestled right on the beachfront with charming, rustic decor, as well as a large terrace overlooking the ocean. The restaurant offers a buffet for breakfast and lunch, and an a la carte menu for dinner - choose a starter, soup, main course and dessert before sitting back and enjoying live music entertainment. Many of the dishes are creating with food from the island's farm, with the menu changing each day depending on the food caught and harvested. No WiFi is available in this area in order to inspire a social atmosphere, and guests are encouraged to take off their shoes and enjoy the evening barefoot. Please note Denis Private Island will be undertaking renovation of the swimming pool which has been damaged by erosion brought about by unpredictable and unseasonal tidal surges. This is scheduled between 12th June and 27th July 2019. During this time the island will be closed. Honeymooner's - A valid Wedding Certificate is requested upon time of booking and check-in at the hotel. Certificate should not be older than 9 months. 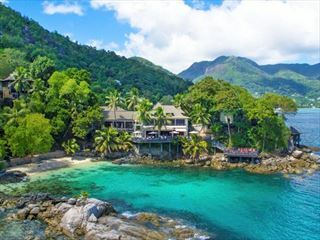 Discover three of the Seychelles' most naturally beautiful islands on this fantastic 11 night island-hopping tour, taking you to Mahe, La Digue and Praslin to explore the beautiful landscapes and relax in luxurious hotels.